Thirteen years after its growing Success Dam seismic safety concerns began leading to Lake Success capacity constraints, the U.S. Army Corps of Engineers has shifted its primary worry to the spillway and potential for flood water to overtop the earth-fill dam. The Corps now believes there is less risk of seismic failure within the dam that spans the Tule River east of Porterville but has increased the risk of a dam overtopping event. A way to ease the overtopping concern would be to widen Success Dam’s emergency spillway. Alterations to the spillway were suggested some two decades ago as a means of increasing Success Lake’s capacity – now designed for 82,000 acre-feet but held to less for many years because of seismic concerns. That would provide more flood protection and greater beneficial Tule River water use downstream. It was that study that led to the Corps’ seismic concern. A final environmental impact statement on how to repair, strengthen and expand the Kern River’s troubled Isabella Dam is being discussed after its release by the U.S. Army Corps of Engineers. The study includes 600 pages of analysis into a wide range of issues related to the dam’s safety, concerns that have led to Lake Isabella’s storage capacity being restricted. The study addresses means of resolving seismic concerns, seepage problems and dam overtopping fears by raising the dam’s height to guard against a maximum probability flood event. Informational meetings were held in Kernville, Lake Isabella and Bakersfield by the Corps. 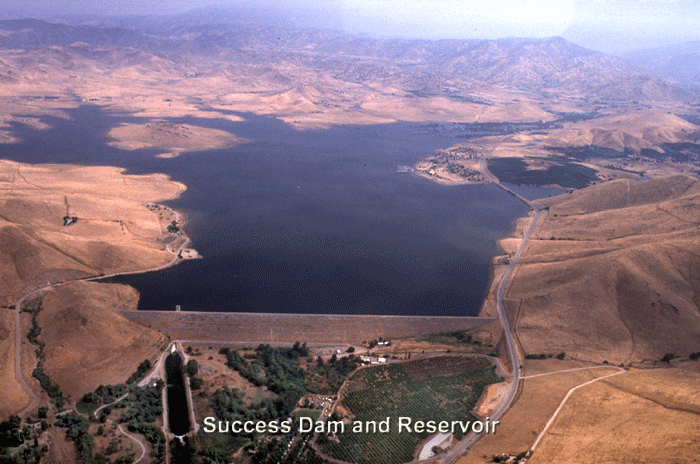 Isabella Dam and its auxiliary dam were constructed in 1953 to provide flood protection along the Kern River through Bakersfield as well as conservation storage for beneficial water uses. The Lower Tule River and Pixley irrigation districts are holding a food and toiletries drive through December 12 to benefit local non-profit food banks and food rescue operations serving Tulare County. Extra jackets are being accepted. The districts said many families are limited in their resources and need help in feeding families. Donations may be dropped off at the districts’ office, 357 East Olive Avenue, Tipton. To learn more, call 752-5050.